Closed-Circuit Television, otherwise known as CCTV, is a system of cameras that survey an area for security purposes. They monitor properties, buildings, and a variety of public areas to ensure the safety of those inside. However, should something unpreventable occur, CCTV can provide clear evidence to assist in the course of justice. CCTV cameras can be wired or wireless, transferring recordings to a monitor where each camera can be viewed individually on screen. There is an extensive range of CCTV systems available from HB Digital, with features that can be used in a variety of ways. A wireless CCTV system allows the user to place each individual camera exactly where they feel is beneficial. It is rather important to have your wireless cameras recording and transferring footage via their own signal or internet connection, as sharing the signal with another internet-based device runs the risk of disrupting important footage. 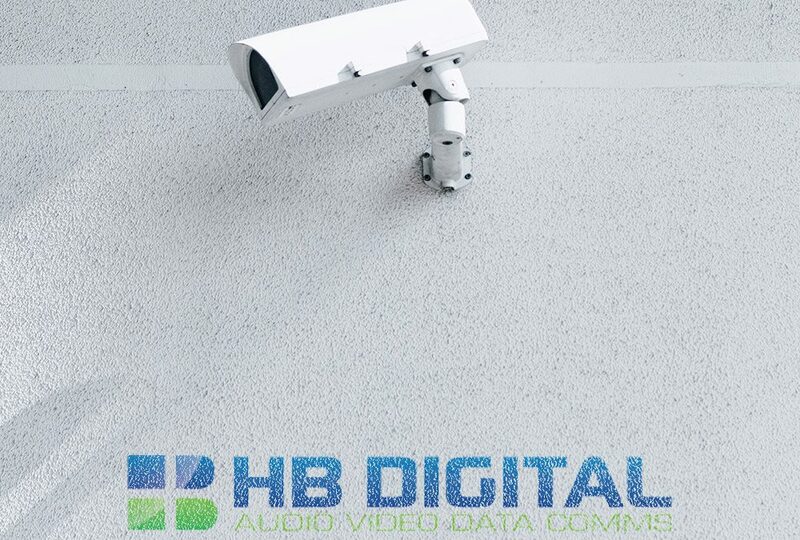 Sure, it is possible to install CCTV cameras yourself; however, a reliable and experienced company such as HB Digital will ensure the system is functioning as efficiently as possible. Installing a complex system such as CCTV by yourself will also run the risk of causing disruption to the footage being recorded. Not knowing the right height to place your CCTV cameras can be incredibly detrimental and result in poor quality imagery. The installation does not stop simply because you have placed the cameras in your desired locations. It is important that the cameras are secure and away from potential threat. Having them in an obvious place will certainly attract unwanted attention. Ensure that wired CCTV systems have their wires running away from the camera to prevent them being cut.